The end of the Cold War was the greatest shock to international affairs since World War II. In that perilous moment, Saddam Hussein chose to invade Kuwait, China cracked down on its own pro-democracy protesters, and regimes throughout Eastern Europe teetered between democratic change and new authoritarians. Not since FDR in 1945 had a US president faced such opportunities and challenges. As the presidential historian Jeffrey Engel reveals in this hard-to-pause history, behind closed doors, George H. W. Bush rose to the occasion brilliantly. New info on the end of the Cold War. 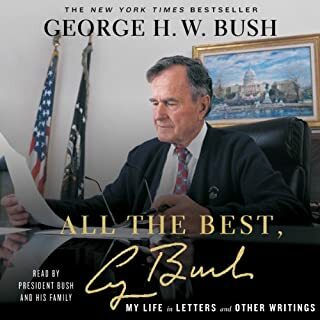 A historian's revealing and intimate portrait of George H. W. Bush and George W. Bush that explores their relationship as presidents and as father and son - the first major biographical treatment of these two consequential presidents and figures in American history. In 2016, the Republican base revolted against the GOP establishment that has become synonymous with the Bush name, choosing instead a political neophyte and antiestablishment outsider as the standard bearer of their party. Donald Trump's election marked not only the end of a presidential dynasty but a rejection of the Republican principles and traditions the Bushes have long championed. Despite the Republicans' surprise victory in 2016, behind closed doors the party remains divided between traditional conservatives, populists, and radical ideologues and faces an uncertain future. 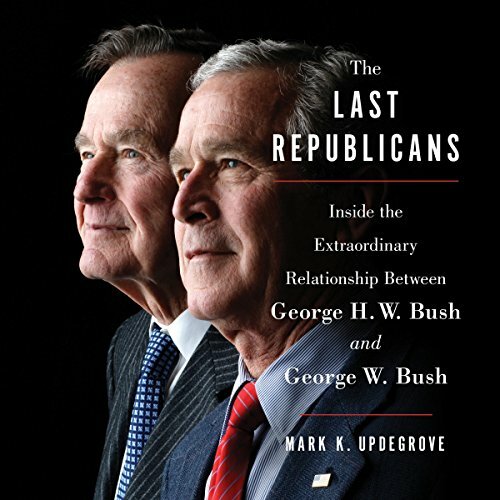 As presidential historian Mark K. Updegrove argues, Bush 41 and 43 are, in effect, the "last Republicans". 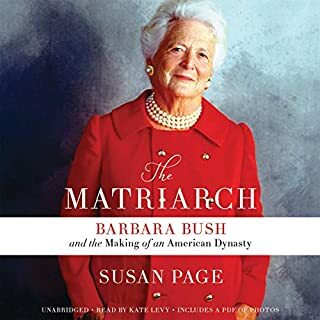 In this balanced, illuminating audiobook, Updegrove tells the story of the Bushes' relationship from the birth of George W. through their postpresidential years and Jeb Bush's failed candidacy. Drawing on exclusive access and interviews with both presidents and the key people in their lives, Updegrove reveals the Bushes' views on the current state of the nation and the GOP and how the party they both led and helped build is undergoing a radical transformation. 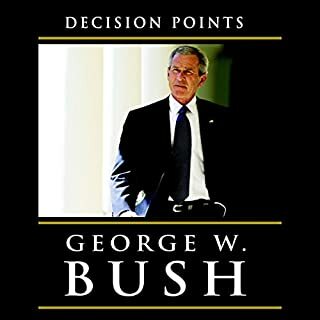 At last the famously circumspect Bushes offer unvarnished observations and revelations on everything from George W. Bush's youthful indiscretions to the influence and perspectives they had on each other's administration to their views on Donald Trump - and how they each voted in the 2016 election. 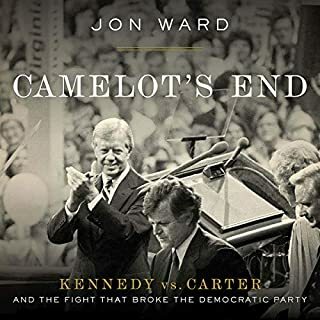 A candid and often surprising portrait of two men, The Last Republicans is also an elegy for the party of Reagan and Bush - and for the many thoughtful and prudent individuals who made up the "establishment" and are conspicuously lacking in today's GOP. 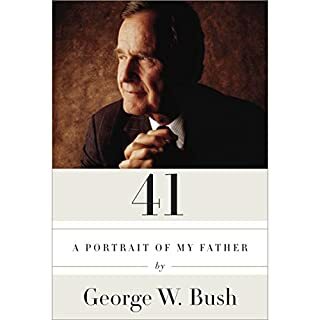 I have read a number of books about the Bush family. This duel biography does not cover any new information but attempts to show the relationship between father and son. The book is well written and is meticulously researched. I appreciated that Updegrove organized the book chronologically; it made it so much easier to read. The author interviewed both men as well as other family members and colleagues. Updegrove also had access to diaries as well as the normal documents in various archives. Updegrove discussed the family values which are make your money and then give back to society via public service. The author stressed the family values and ambitions. I enjoyed reading the book. The book is fourteen and a half hours. Milton Jeffers does an excellent job narrating the book. Jeffers has an easy to listen to voice. Looking back to look forward. THIS look at the Bush family and other Presidents brings hope for all who love this country. A fascinating in-depth look at the 41stand 43rd presidents. I’m not a political person but I can’t deny that the whole arena and establishment interests me. Epically after the rise of trump, the Republican Party is looking stranger and stranger. Bush 41 and Bush 43 cast some interesting light on the party in the decades before. I enjoyed their personal history more than their political history. George HW Bush had an amazing like. Serving in WWII and then striking out on his own in Texas. George W also had his own journey. Both men are quite intriguing and the book does a wonderful job of weaving their lives together and apart. The author certainly romanticizes both of the Bush legacies, and it’s still a interesting read. 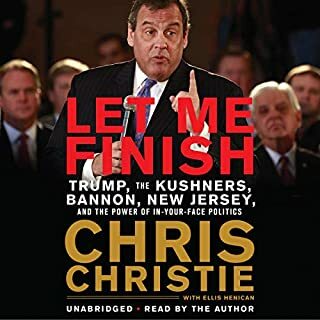 Where does The Last Republicans rank among all the audiobooks you’ve listened to so far? The best non-fiction I have read in ages. It confirmed my positive view of the Bush family. These two Presidents are/were servant leaders. They never embarrassed us and had no hidden agendas. There is such a thing as an “Everyman” in politics, and though it might be rare, both Bushes qualify. I think you judge people by the way they treat others, especially ordinary everyday people, and it’s clear that 41 and 43 have a deep respect for others. I happen to agree with them politically but there is a reason they maintain strong ties even with people they disagree with politically. What about Milton Jeffers’s performance did you like? It was as it should be, a non-distracting, strong voice sharing information. It made me wistful. I have five kids in their twenties. We talked politics everyday when they were growing up. They feel a little cheated that many successful politicians today do not have qualities that inspire them. I pray that the Bushes are not the last Republicans. This is a wonderful story of the love that the Bush family has for their country and to each other. independent of your political stance there is no doubt that 41/43 love their country. it displays the values that they hold dear to their hearts that reflected in their tenures. This book was eye-opening regarding so much of recent American history. My respect for the Bushes grew with each chapter. I loved it! Great overview of the Bush presidents. Great overview of the Bush presidents. I recommend the book to all to listen and enjoy. Well written, I love the subject matter. Hard to believe the Bushes’ were the last of the true Republicans, but I have to agree with the author it may be true. Thank you for writing a great book! I found myself surprised, inspired, impressed, and touched. Thanks to the author for writing this! From beginning to end, I learned so much. Literal cold chills at the end of the epilogue. Highly recommended.